While the ticket market for the 2017 World Series is dominated buy the Dodgers, the Astros are also making history. 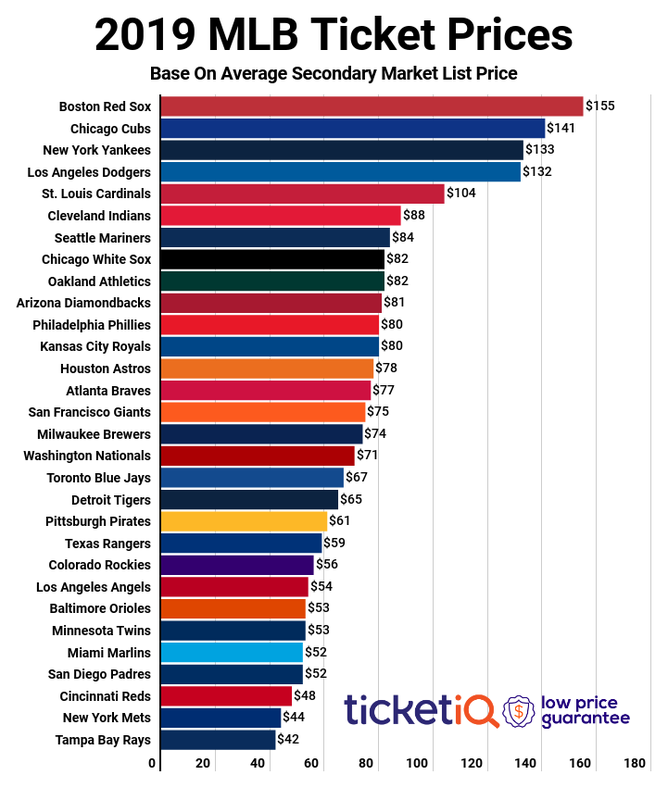 With the 4th most expensive average price tracked by TicketIQ, the Astros fall into the second-tier of historically-expensive World Series ticket prices, behind the three teams with the longest droughts in the sport. Now that the Cubs have vanquished their ghosts and goat, the Astros have the second-longest stream of not winning, behind the Indians. Since opening under the Astrodome in 1965, the Astros have never won a world series and hile never-winning is technically different from a drought, it nonetheless put them at the top of the list of hungriest fan bases. Currently on TicketIQ, seated tickets start at $828 with standing room only seats going for as low as $620. It's also likely made a little hungrier as a celebration of #HoustonStrong for a city still very much recovering from the country's worst natural disaster ever. 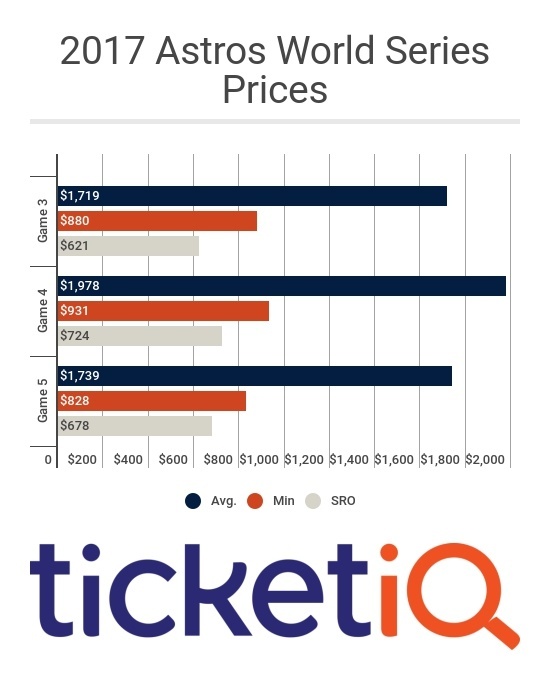 While the majority of residents won't be able to afford tickets to the game, there are approximately 100 standing room tickets available in the secondary, which is less than 10% of the overall market. While that may seem like a lot of money to pay to stand for 9 innings, it's a bargain compared to what Cubs fans paid last year, when standing room only tickets were sell for as much as $2,000. Below are prices and links to all three games in Houston.